A fascinating dialogue across denominations of the High Holy Days and their message of Jewish purpose beyond mere survival. Almost forty contributors from three continents—men and women, scholars and poets, rabbis and theologians, representing all Jewish denominations and perspectives—examine the tension between Israel as a particular People called by God, and that very calling as intended for a universalist end, furthering God’s vision for all the world, not just for Jews alone. 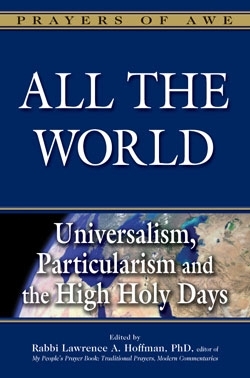 This balance of views arises naturally out of the prayers in the High Holy Day liturgy, coupled with insights from philosophy, literature, theology and ethics. This fifth volume in the Prayers of Awe series provides the relevant traditional prayers in the original Hebrew, alongside a new and annotated translation. It explores the question “Why be Jewish?” in a time when universalist commitment to our planet and its people has only grown in importance, even as particularist questions of Jewish continuity have become ever more urgent.